Apple recently began selling the Linksys Velop Mesh Wi-Fi System both online and in its retail stores, marking the first router the company has offered aside from its own rather outdated AirPort Extreme, AirPort Express, and AirPort Time Capsule. Apple has not updated the AirPort Time Capsule or the AirPort Extreme since June of 2013, and it's been even longer since the AirPort Express was last updated -- 2012. A late 2016 rumor even suggested Apple had stopped development on its line of AirPort base stations entirely, disbanding its AirPort team and moving engineers to other projects. Though Apple has not updated the AirPort line in years and is now selling a third-party WiFi system, the company appears to be planning to continue to offer AirPort options for the foreseeable future. 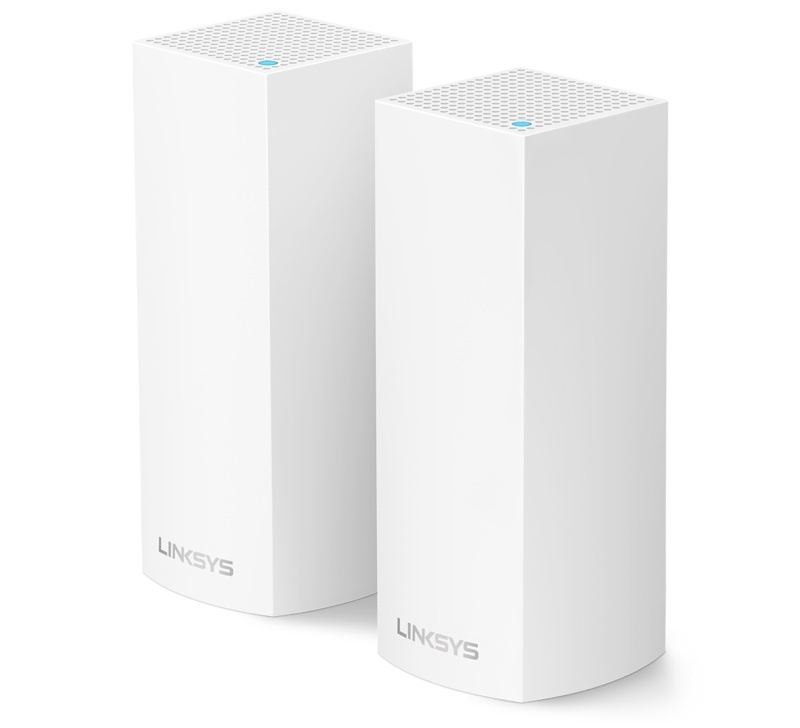 In a statement provided to 9to5Mac, an Apple spokesperson said the Linksys Velop is an option being provided to people with larger homes alongside the AirPort. People love our AirPort products and we continue to sell them. Connectivity is important in the home and we are giving customers yet another option that is well suited for larger homes. While Apple is continuing to offer its AirPort base stations for now, the devices won't last forever sans update. Given Apple's move to sell a third-party Wi-Fi product, it's looking like the company does not have plans to update the lineup going forward. 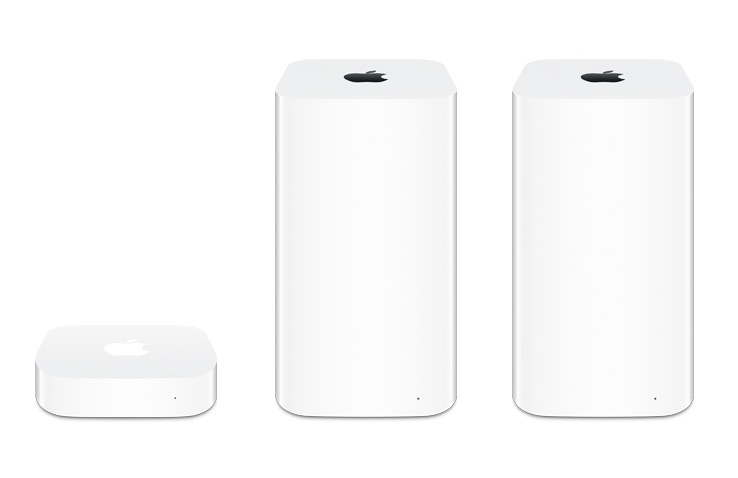 The AirPort base stations provide several unique benefits that are not available with third-party options like built-in Time Machine backup support in the Time Capsule and AirPlay functionality for the AirPort Express. It's possible Apple has plans to incorporate these features and Wi-Fi networking functionality into a future product, but if so, there are no rumors suggesting that's the case at this point. The Linksys Velop that Apple is offering is designed to create a tri-band high-range mesh network able to provide a strong Wi-Fi signal throughout the home, putting an end to areas where Wi-Fi signal is weak. The Velop consists of multiple Nodes used to create an extended Wi-Fi network. Each of the Nodes is able to increase Wi-Fi range by up to 2,000 square feet, and because it increases range wirelessly, there are no wires to deal with. Apple sells the Velop in two configurations, with either two or three nodes, for $349 or $499. O.M.G. just put the poor AirPort line out of its misery and stop pushing it off on unsuspecting customers. Honestly, Apple still selling Airport -- at a not discounted price point either -- is the opposite of good customer services. It's in the realm of snake oil used car store polishing up a turd car. Also Velop isn't the answer but it's owned by Apple's new crap accessory pal Belkin. O.M.G. just put the poor AirPort line out of its misery and stop pushing it off on unsuspecting customers. Honestly, Apple still selling Airport -- at a not discounted price point either -- is the opposite of good customer services. It's in the realm of snake oil used car store polishing up a turd car. What's the issue with the current AirPort Extreme? Offers the current speeds. Works better than most sub-$100 routers too. As a Mac user for over 25 years. I am beginning to hate Apple trying to sell 3-5 year products at full price with old components/tech. Mac mini (HP have a much better PCmini), Mac Pro, (I know a new one is due, after 4+ yrs). The ridiculous requirement to take your new shiny iMac Pro to an Apple store or authorised dealer for additional RAM. Wasting precious driving time, precious waiting time etc. When it takes 3-5 mins on an iMac. No screens, 4K or 8K, no 17" laptop, no new iMac screen size, it's still 27" from 2009. We want 30", 32" or 34". Not just 27". Apple is now just a phone company. It manages to update the phones every year with minor updates. What about software Apple? Apple released loads of great software from Appleworks, iMovie, Aperture in the early days. When was Pages, numbers, keynote last updated (not dumbed down) with features to take on Microsoft?? Those products are useless for anyone apart from 10 year old kids. Business users and professionals have been screwed over by Apple with inferior products but with superior prices. Quality control means nothing to Apple anymore. Things don't work anymore, they always need fixes. Can't remember when Apple had anything innovative, in the last 10 yrs apart from the iPhone. Mac Users might as well get the highest spec models available and not replace it for at least 5 years. As only then will Apple have anything new worth upgrading to. Linksys products are what drove me to Airport. When I upgrade my Time Capsule, I'll likely go the Eero or Google Mesh route. It's all-but abandonware. The Extreme is NOT sub $100, it retails for $200 still. You can get a much more effective mesh system for $200 these days. The Express DOES NOT have 802.11 a/c, the current latest standard. It's just 802.11n. Again, for $99 you can do a lot better. The best thing about Airport Express is AirPlay, but of course, it won't be updated to support AirPlay 2, so again, hard to justify it among the other competition. I have an Extreme + 3 Express in my house. The Express are the previous gen. No problems right now but they are living on borrowed time. I also have a much older 802.11n Express -- 2, 3 gens old, I configured for AirPlay only. Works fine for the purpose too. Sad thing Apple doesn't support that older one anymore even though it's 802.11n like the current gen. I had to use a 3rd party app to load up a previous version of Airport Utility to configure it. Ridiculous. Just bought the Netgear Orbi system. So much better than extending an airport network ever was! I had a fifth generation AirPort Extreme that I replaced with an Eero three pack. I live in a typical two story house in a subdivision. The Eero had problems where certain iOS devices would need a static ip in order to work. Then other iOS devices would fail to connect or drop off when roaming the house. I then purchased the Amplifi HD system. Same problems! With family complaining about the Wi-Fi, I bought the sixth generation AirPort Extreme and a TP-Link AV2000 Powerline Adapter Kit. This allowed me to locate the single AirPort Extreme in the very center of the house, connected to the modem via the latest and fastest powerline adapter. It works great. I sold all the others on eBay. I hope Wi-Fi routers have a future at Apple. I didn’t try the Veloop or Orbi mesh ones. Worth noting that my Asus router has built in Time Machine integration, which I use. I plug in USB 3.0 drive, check the box in the Asus admin UI to enable Time Machine, and the drive is immediately available (even with encryption) to be used with Time Machine wirelessly. The 2013 £199 AirPort Extreme ? Nothing at all, works great with my 2013 £2999 Mac Pro.... Which I bought in 2013. In 2018 buying either the AirPort Extreme or Mac Pro , you are wasting your money out of brand loyalty instead of common sense . Both very outdated performance wise .